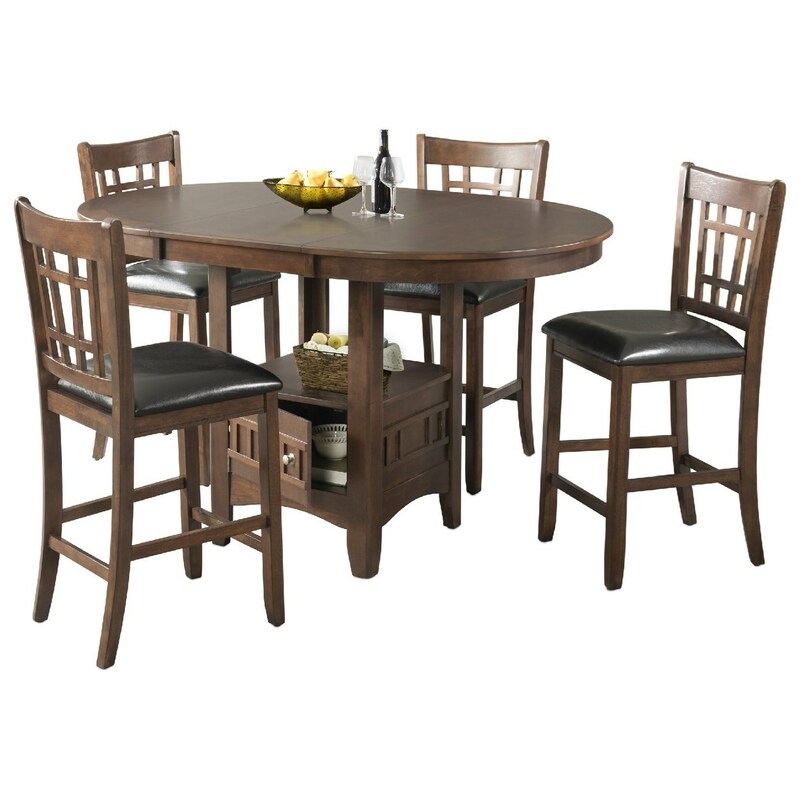 This pub height table and stool set is perfect for your bar area or casual dining room. An 18 inch leaf makes this table ideal for between four and six people. A shelf and door in the table base provide convenient storage space. The Max Casual Counter Height Table Set by Elements International at Miskelly Furniture in the Jackson, Pearl, Madison, Ridgeland, Flowood Mississippi area. Product availability may vary. Contact us for the most current availability on this product. The Max collection is a great option if you are looking for Transitional Casual furniture in the Jackson, Pearl, Madison, Ridgeland, Flowood Mississippi area.